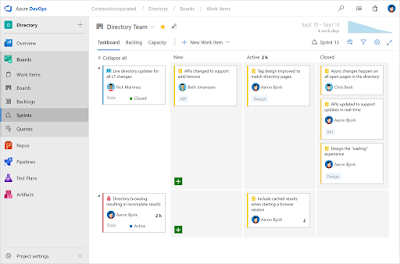 As Microsoft started to transform VSTS in to Azure DevOps Azure boards does a tremendous work on it. 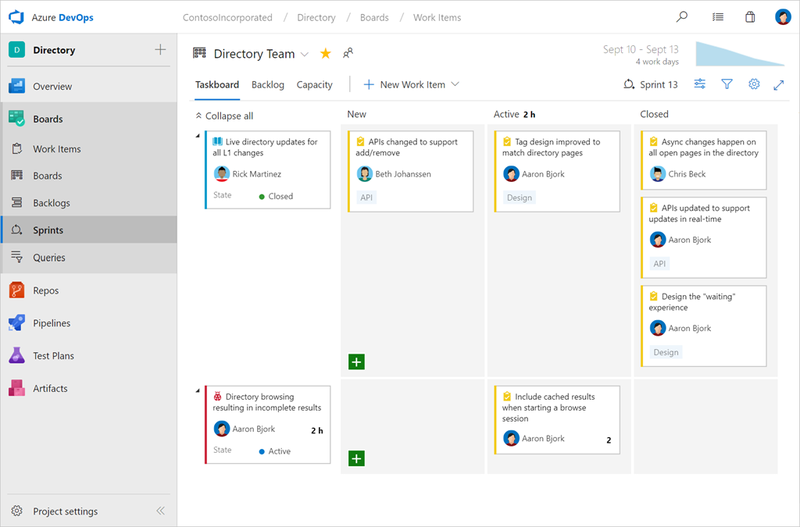 It manages all the work for your software project and brining you a rich set of capabilities including native support for Scrum and Kanban, customizable dashboards, and integrated reporting. You will get a basic idea that what can do with azure boards. Work item is the artifact which runs behind the task tracking. 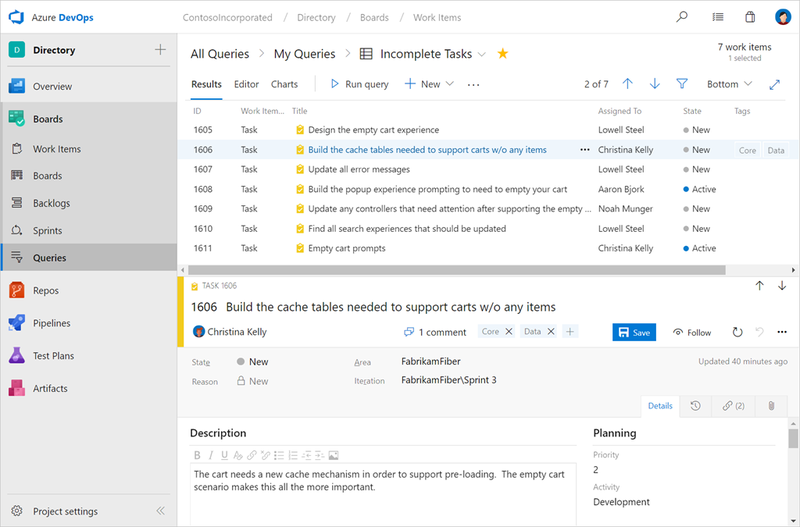 You can create your task items according to your project and the team. Each work item uses a state model to track and communicate progress. As an example the states model is New > Active > Resolved > Closed. From using this display anyone has access to the project work items can view the progress of the project. By opening a work item (task), viewer can view all the details about the work item. This includes including the history of all changes, any related discussion, and links to development artifacts including branches, pull requests, commits, and builds. Work items are customizable, supporting the ability to add new fields, create rules, and modify aspects of the layout. On top of Work item there are 3 main items that need to be mentioned. A newly created project through decops always created with pre-configured Kanban board to manage the flow of the work. These boards are highly customizable and allows user to add needed for each project. Boards support swim lanes, card customization, conditional formatting, filtering, and even WIP limits. Whenever the project creates there should be priority tasks to be treated first. 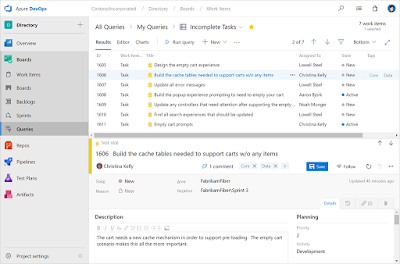 Users can Drag and drop items to adjust the order or quickly assign work to an upcoming sprint. 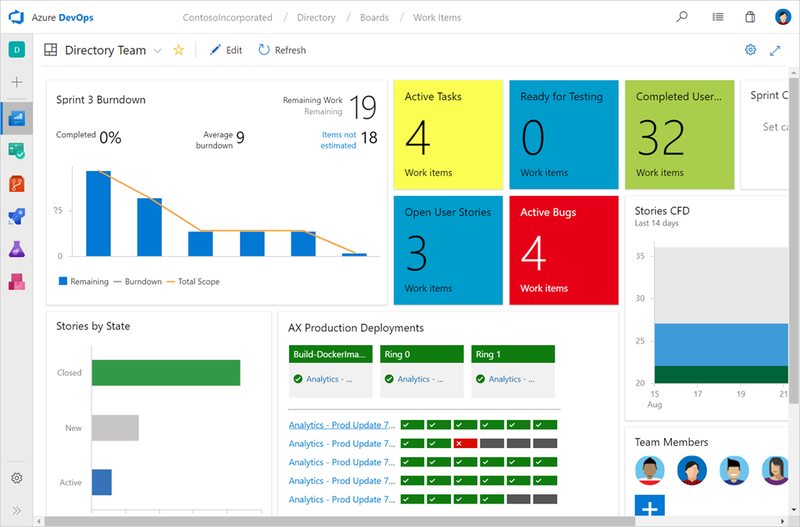 The most powerful features in Azure Boards is the query engine. It allows user to measure what user exactly tracking, creating easy to monitor KPIs. User can create new queries and pin them to dashboards for quick monitoring and status. DevOps forms are very much characterized and they cross over any barrier between the improvement and the activities groups. There are numerous instruments to perform DevOps computerization which may be open source or paid apparatuses in the market. A portion of the noteworthy devices are Icinga, Chef, Jenkins, Docker and Ansible. I find a very good website for the bbq grill cleaner , You can visit this site.